Recently I drove to Covington, Kentucky to do some research on my dad's side of the family. I found a relatively inexpensive hotel nearby in Florence, and spent the night there so that I could get an early start at the Kenton County Public Library the next morning. I have mentioned before, I believe, that my three times great-grandfather is Thompson Hightower. I am confident in the paper trail that leads from me to him, but I have been unable to prove who his parents are. I believe them to be George Hightower, Jr. and Frances Ann (Hall) Hightower. Proving it is another story altogether. George and Frances were in Campbell County along with their children from 1800 until the late 1830s, when several members of the family moved to Adams County, Illinois. A few of the children stayed in Campbell County. George, of course, was not kind enough to leave behind a will when he died in 1845. How tidy it would have been had he mentioned his wife and all his children in a will. The only inkling I have that Thompson is his son is on findagrave.com, where a picture of George's headstone resides along with a brief biography listing all his children including Thompson. The biography was written by a volunteer from Adams County, who has since died himself. I have no way of knowing where he came by the information he put on the website. 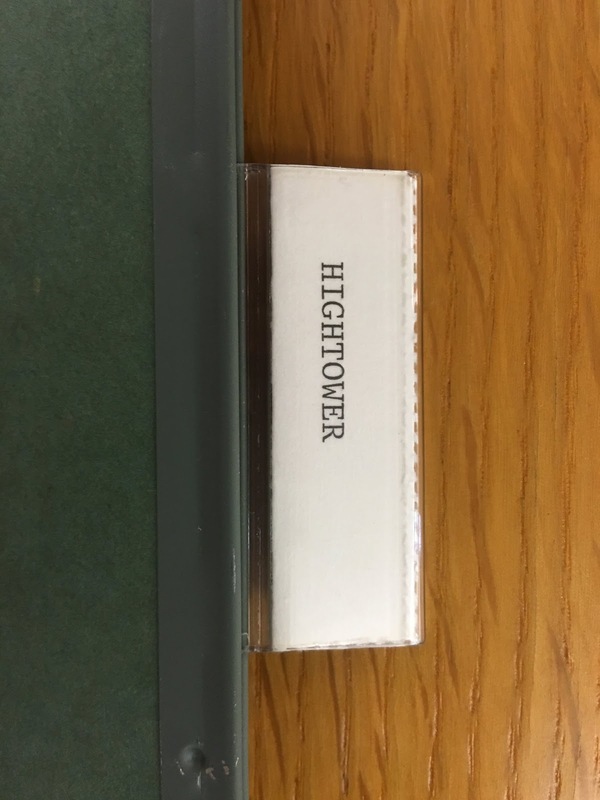 At the Kenton County Public Library I asked to see a file folder they had on the Hightower family. I couldn't help but wonder if the file would hold the key to my family tree. The first thing I noticed is that the file was pretty thin. Not good. Inside I found two letters from people seeking information on the Hightower family, along with the responses from the librarian. There was no new information for me, but if I end up finding a connection between Thompson and George, these two letter writers are my cousins. The three librarians in the history and genealogy department were extremely kind and helpful. But despite their (and my) best efforts, we did not find a definitive link between Thompson and George. The department head said that she is sure they are all family, but the exact relationship remains unknown. 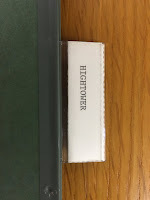 I pulled all of their books on Campbell and Kenton Counties and looked at the indexes for references to Hightowers. And I did find some citations that I didn't already have, so the time spent there was not wasted. But I have to think about my next step now. I could go to any or all of those courthouses next time I go to Cincinnati to see relatives, but the fact of the matter is that while I might find a land record or something else that refers to Thompson, George was long gone so there would be nothing on him. I might be better served talking to some folks in Adams County, Illinois to see if they have something on George that I might have missed. 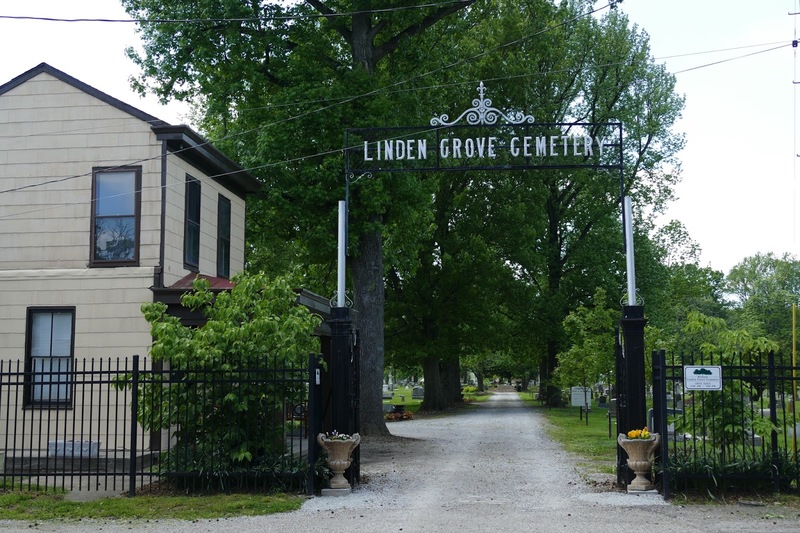 After I left the library, I drove to the Linden Grove Cemetery where Thompson is buried. The librarian told me that Thompson does not have a headstone (or it is illegible) because volunteers have indexed all the stones in the cemetery. Because he died in 1866, the records are poor. They know he is buried there in the same grave as his daughter, but they cannot tell me exactly where. But I wanted to see the cemetery nonetheless. Some of the plots have fabulous views of downtown Cincinnati. I guess you could say that have a permanent room with a view. After the cemetery I went to Devou Park in Covington. 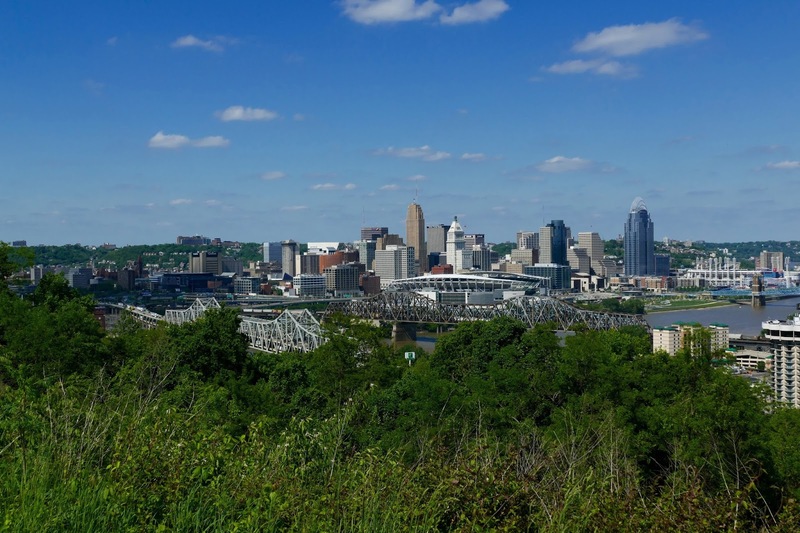 Within this park is the area where Thompson Hightower and other men of the Home Guard (militia called into service by an act of the Kentucky legislature) erected batteries to help protect Cincinnati from a Confederate attack in 1862. There were 60 men in Captain Leonard's Company, the unit in which Thompson served. I did not hike back into the wilderness where remains of the battery are still visible, but I certainly enjoyed the view of the Cincinnati skyline from the overlook in the park. It was a thrill to think that Thompson had once walked the same ground that I was on. It was nearing the end of the day, but I would love to go back and visit the museum in the park when I have more time. The rest of the weekend I spent visiting with relatives. I stayed with my cousin and her daughter, and we always have so much fun together. They take me to unique places to eat, and we always hit the Findlay Market downtown to do some shopping. This time I picked up some wonderful spearmint tea at a local tea shop, and we bought fresh bread, pasta and sauce to make for dinner one night. 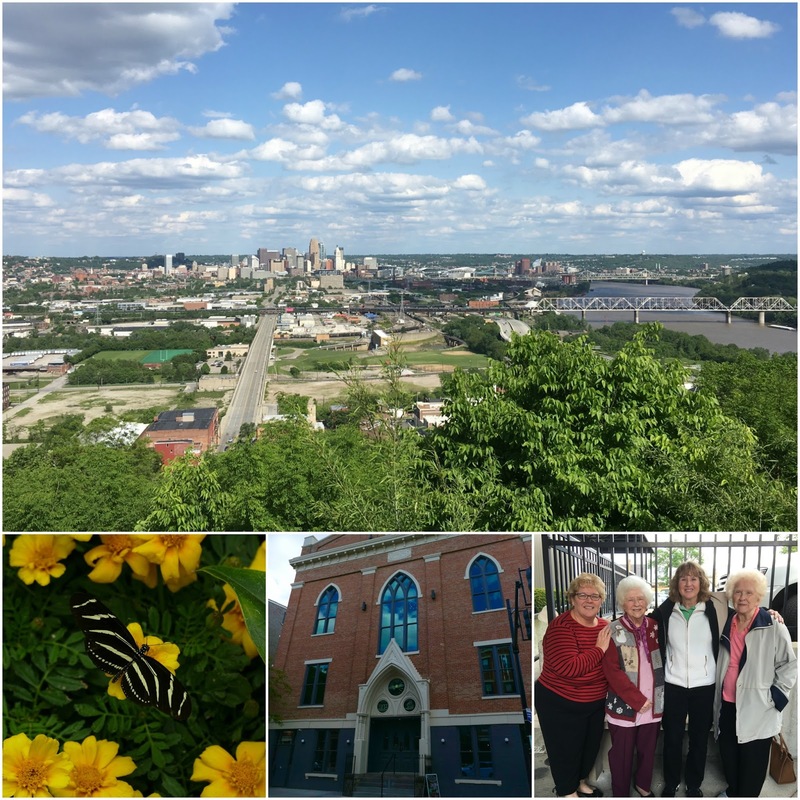 We also saw the butterfly exhibit at the Krohn Conservatory, enjoyed beer tasting in an old church that has been converted to a brew house, had breakfast with my mom's two remaining siblings, and dinner with several other cousins. As usual, I feel like I ate my way through Cincinnati. But what memories we created! 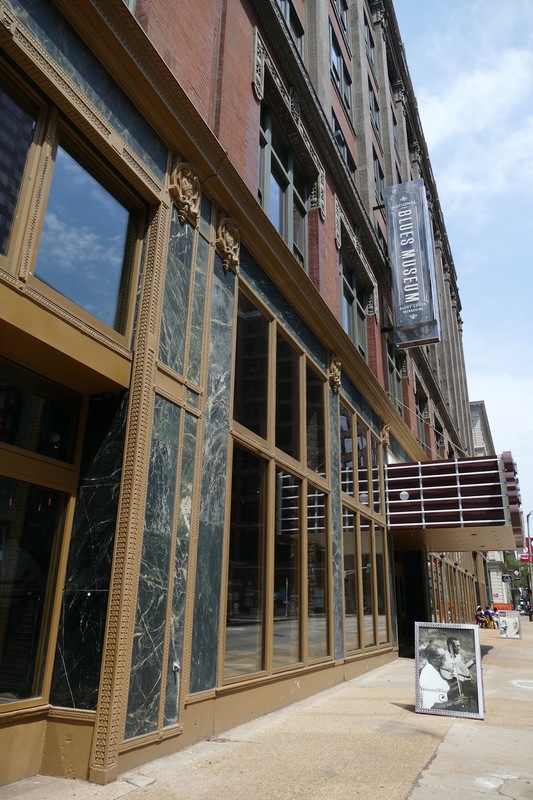 This Mother's Day weekend was packed with activities, which is a good thing because Mother's Day holds mixed emotions for me. I have always felt that this day was about MY mom - not me. Though she has been gone since 1989, it is still her day in my mind. I suppose it doesn't help that our kids live so far away, as does my mother-in-law. At any rate, Jim always goes out of his way to make the day special for me. Usually we spend it going to a picnic with my sister and her extended family, but they needed to have the gathering on Saturday this year, and I already had plans for that day. But I am getting ahead of myself. On Friday night we had the opening for the new photography exhibit of the Women in Focus group. It is being held at the Webster Groves Public Library, which is convenient for me and the three other ladies in the group who live in Webster Groves. We had wine, water, cookies and candy at the opening, and it was pretty well attended. I entered two photos in the show, which has 27 pieces hanging. Two of the ladies have already sold pictures - awesome! The show will remain in place through June, the longest time period we have had for one of our shows to date. Saturday morning was the Paint Webster event, and our group had been asked to be volunteer photographers again this year. 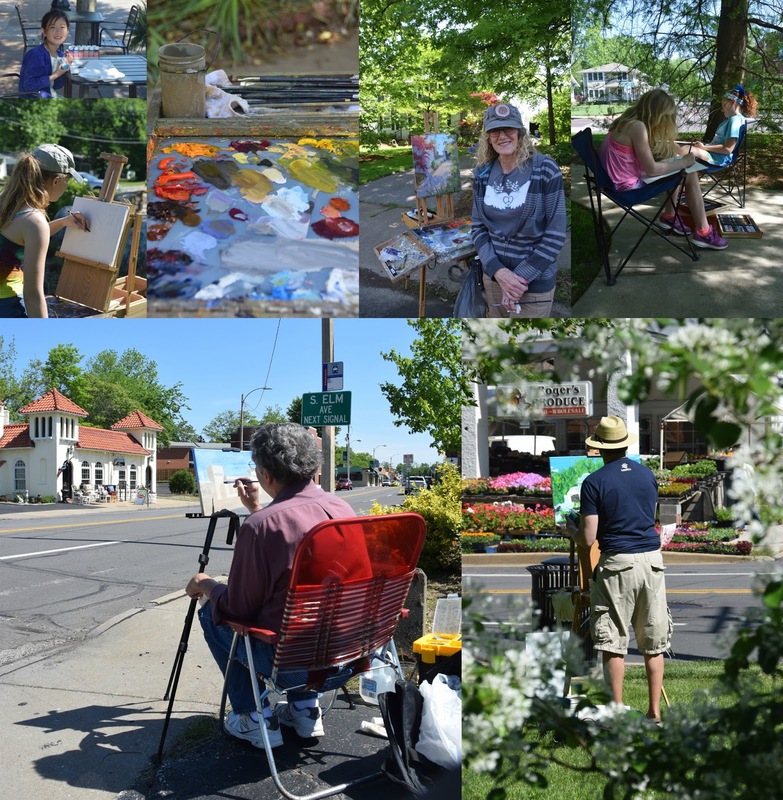 Artists from all around the area come to enjoy the day painting outside, or plein air. It is fun to watch them, and talk about the techniques they are using. There might be four artists all painting the same thing, yet the results are entirely different. I was particularly excited to see all the children participating this year. 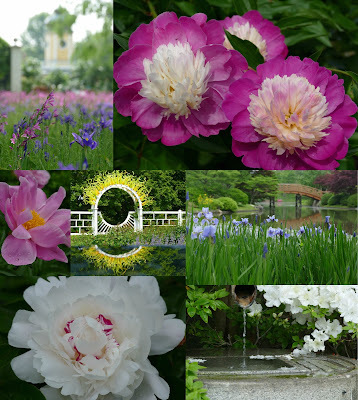 On Sunday, Jim and I headed to the Missouri Botanical Garden as soon as they opened. We knew it would be crowded, but there is nowhere I would rather be than at my favorite place in the world. Most of the people were hanging out in the front of the garden, no doubt waiting to enjoy the Mother's Day brunch. We had the rest of the garden pretty much to ourselves for the first couple of hours. By then we were ready to head out as it was getting hot. From the garden we drove downtown to Washington Avenue, where we had lunch at Sugarfire Smoke House before going next door to the National Blues Museum. The museum has only been open since April of 2016, so I had not talked to anyone who has gone there. It is quite the place, and the exhibits and graphics are very well done. Though it was not crowded, it took us a couple of hours to see and experience everything. I'm so glad we went, though it is a bummer that they do not allow any photography inside except for the entry lobby and gift shop. They said it is for copyright reasons, but I am skeptical as many museums allow photos. 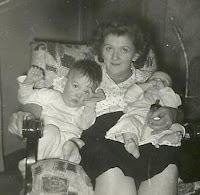 Both of the kids called that night, so that was the cherry on top of my wonderful ice cream sundae Mother's Day. 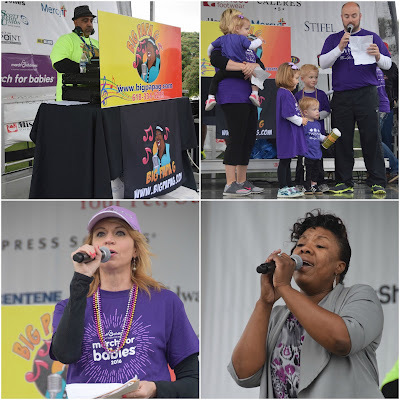 For the third consecutive year I was a volunteer photographer at the March for Babies in Forest Park. This year, much to my dismay, it rained. Pretty much the whole time I was there. It is bad enough to be in the cool, wet weather for four hours, but add in my expensive camera and I was pretty anxious. 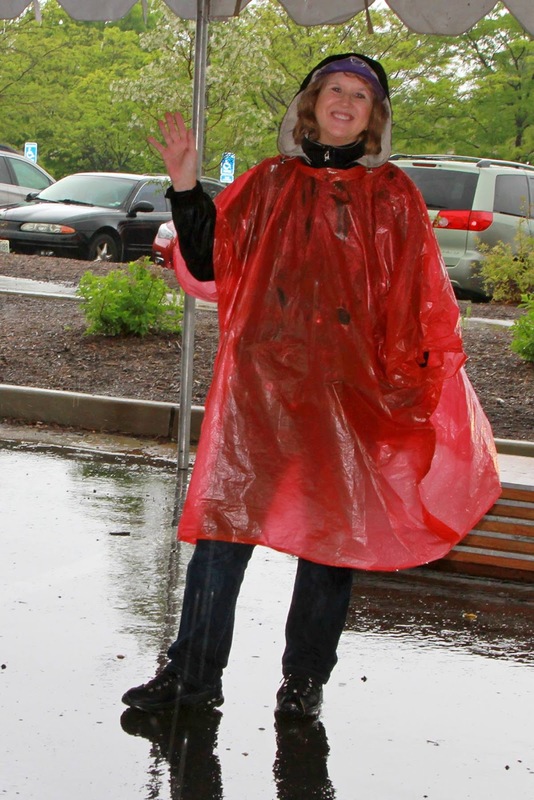 I wore my raincoat and threw a lightweight poncho over the top of it. 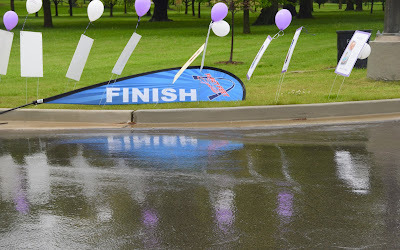 The event organizer lent me a hat, which really helped keep the rain out of my eyes and the wind from blowing my hair every which way to Sunday. To me it seemed as if the crowd was much smaller, though they have had their best ever attendance during a year when it was a constant downpour. The mood of the staff, volunteers and attendees was still upbeat though. The disc jockey kept the music lively, Margie Ellisor of Fox 2 did another fine job as MC, and the a cappella rendition of the National Anthem was delivered flawlessly. This year's poster family gave a presentation - a family blessed with two sets of twins. Both pregnancies resulted in premature births, but all four of the children are doing well. I have to say that the hit of the event this year was the bubble truck. 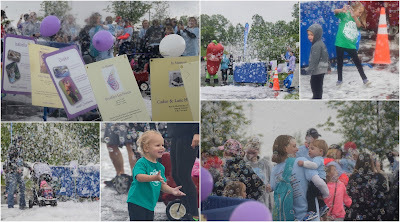 Located at the end of the walk, both kids and adults had a blast running and dancing through the bubbles. They were already wet, so what the heck! It was great fun to photograph, though I kept getting rain drops on my lens. I went through all the pictures and did some selective cropping and had to lighten quite a few because the day was so dreary. Then I burned them onto a DVD (at the March of Dimes request) and dropped it in the mail yesterday. 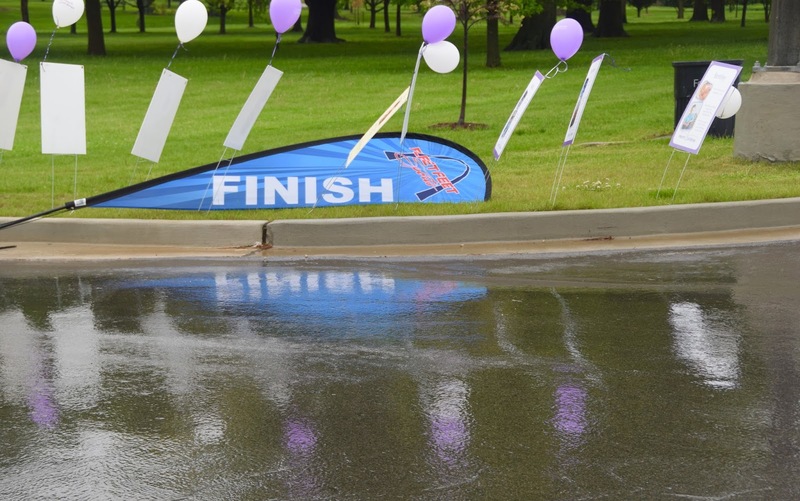 Another March for Babies in the books - I hope it was successful for them.